It’s time for the biennial restatement of the site’s official Election Projection policy, which is printed in full over the fold. 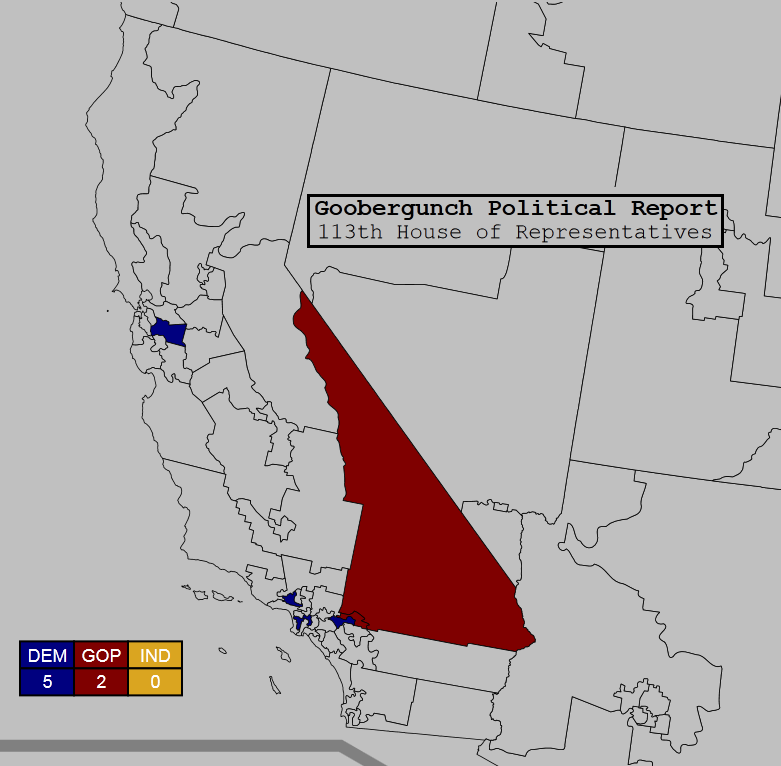 This year, the runoff clause makes things a little weird. Usually, I wouldn’t project a single House race before 6 PM Eastern Time on Election Day. However, the new California top-two voting system means that there are seven House seats for which partisan control is already decided. Both remaining eligible candidates in those House seats belong to the same party, and votes for any other candidates—write-ins included—will simply be ignored. Of course, I won’t have an actual winner in any of these races until Election Night, so check back then! UPDATE [13-Oct-2017]: The “over the fold” part of this post seems to have been lost to the sands of time. Sorry.